Bring the spa to her on Mother's Day. To a parent, a bath is a gift. Soaking there with scents, heat, and silence — if only your kids appreciated how good they had it on bath night. With Mother’s Day upon us, you should give your wife that treatment by, yes, giving her a day at the spa — but also bringing the spa to her. This assortment of seriously fancy, lavish bath and shower products show that you put real thought into making her feel like she matters. 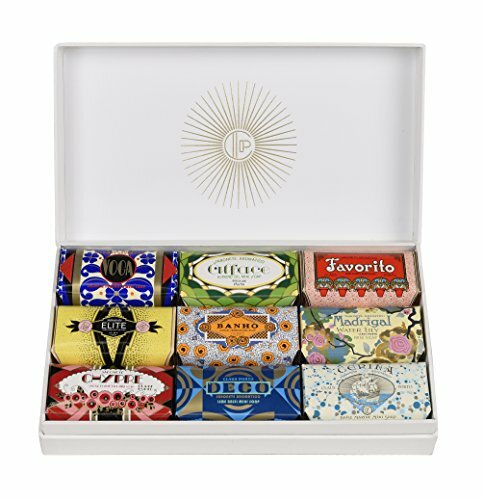 This set of soaps are among the fanciest, finest soaps around. You truly cannot get fancier soaps than these, which are made through a repeat milling process to ensure their smooth finish. And the soaps are individually molded into a variety of shapes and styles. Oh, and every soap is wrapped by hand. 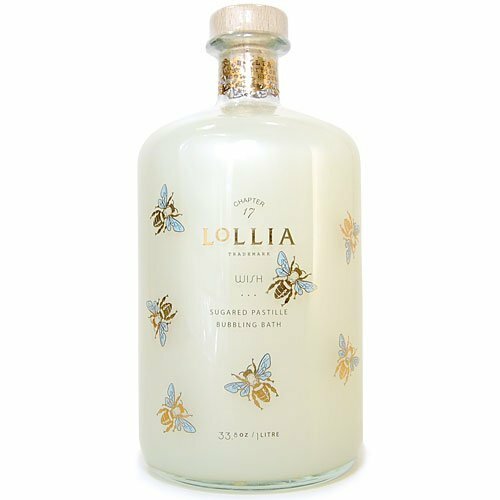 The glass decanter alone is a pretty stunning gift, but the Lollia bubble bath seals the deal, with its key ingredients of olive and avocado oils. She can bask in the heady scent of vanilla, with touches of amber, in this honey-infused bubble bath. It comes in a pretty glass bottle with gold leaf and bee accents. This set is ideal for moms with dry, parched skin. And it smells like a tropical vacation. She wants soft skin? Hell, everyone wants soft skin. Give it to her with this Elemis set, which includes Frangipani Monoi shower cream and body oil, known for its intense moisturizing prowess. There's regular, whatever body oil, and then there's this Chantecaille concoction, made from a blend of roses. Life really is a bed of roses (sorry, couldn’t help it), with this body oil, which isn’t greasy, smells just floral enough, and leaves her skin so smooth she’ll be feeling blissful when she get out of the bath. Thank you, Laura Mercier. This will most likely be the best-smelling bath product she'll ever use. Imagine her having dessert, but in the bath. Yes, it sounds sort of gross, but we swear, it’s not. Actually, it’s the height of decadence. This honey bath has insanely delicious notes of warm caramel, spun sugar, and French vanilla bean. To score extra points, throw in the Laura Mercier body creme. If your goal is to give mom a calming experience, this rejuvenating and high-quality Daughter of the Land bath soak is it. What makes this product stand out? The formula includes restorative ingredients such as rosehips, jasmine and French grey salts, hand harvested in the Guérande region of France. She’ll emerge calm, cool, and collected. Almost as cool: The tube is made from recycled paper, and the inner bags and ribbons are compostable. Throw in the equally gorgeous face and body oil for a full spa experience. This Osea Undaria Body Polish is like a body scrub at a spa, but only at home. She'll emerge with smooth, soft skin that smells of delicate lavender. We hesitate to anoint anything as being natural, because the term is not regulated and thus doesn’t mean much. But we do swear by Osea, which is known for its vegan formulas. This particular scrub is a blend of acai, pumice and guarana powders to buff away dead skin cells. Mom needs sleep. So help her out a little with this Sleep bath soak, which is made with soothing aloe vera. No, this product won’t guarantee eight hours of tranquil shut-eye. But it sure makes the night a little bit more special. This soak includes lavender, chamomile and clary sage to help reduce stress and tension. In fact, the matching sleep candle only enhances the experience. Moms don't have the time, or the energy, to devote to elaborate hair routines. It's wash and go, baby. So she can step it up a notch (or seven) with this BRIOGEO scalp revival therapy kit, which helps keep hair glossy and shiny. You know how she’ll ask you for a head rub? Well, you’re welcome, because this kit has a scalp massager, as well as micro-exfoliating shampoo, cooling conditioner, and a tea tree scalp treatment. No, it’s not a trip to a salon. Yes, it’s almost as satisfying, from a brand known for using 97 percent naturally-delivered ingredients.